Hi. I am posting about Mochi today. I made traditional mochi for my parents in-law. Very soft and easy to make. 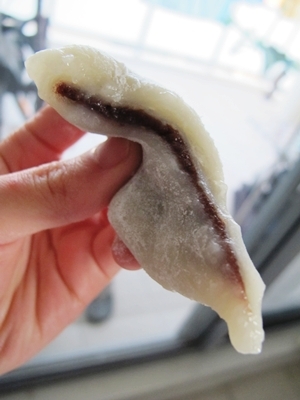 This is the basic mochi anybody can make. Here is the easiest recipe for you. I like the freshest mochi!!! As soon as I made it, I tried it. Omg!! so good!!! 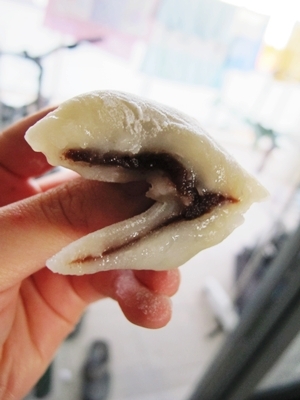 I love the red bean paste even though I didn't make it from the scratch. You can find black sesame paste in Asian grocery shops as well. 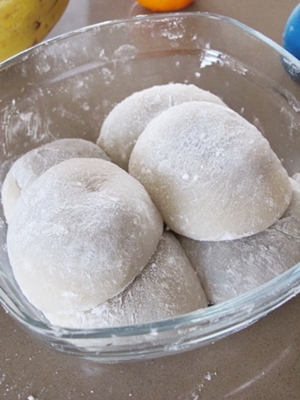 You can make about 6 mochi with this recipe. I recommend you eat them in a day. You can have the softest mochi !! 2. Microwave it 3mins and mix it through. Microwave 30 second to a min again. 5. Make a round ball shape and dust with potato starch. Why don't you make some mochi for your family and friends today? thank u for ur recipe. I'll try to make it with my daughter.